This is the first recording of Ahmed Abdullah´s Ebonic Tones, featuring trumpeter Abdullah, baritone saxophonist Alex Harding and violinist Billy Bang in an unusual, yet highly effective front line and bassist Alex Blake and drummer Andrei Strobert as the solid rhythm section. 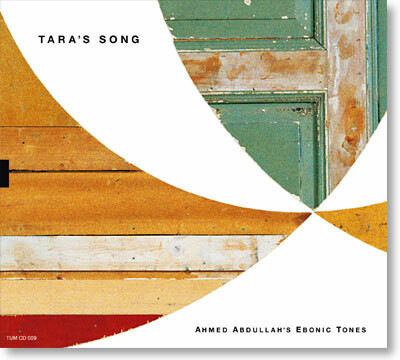 Tara´s Song is a musical journey through a wide array of styles helping us experience and appreciate what Abdullah himself calls "Jazz: The Music of the Spirit". In addition to Abdullah´s own compositions, the ensemble interprets contemporary classics by Ornette Coleman, Frank Lowe, Thelonious Monk and Sun Ra and even the New Orleans mainstay "Iko Iko". The final outcome invokes the spirit of these great masters in a joyous celebration of life and music.